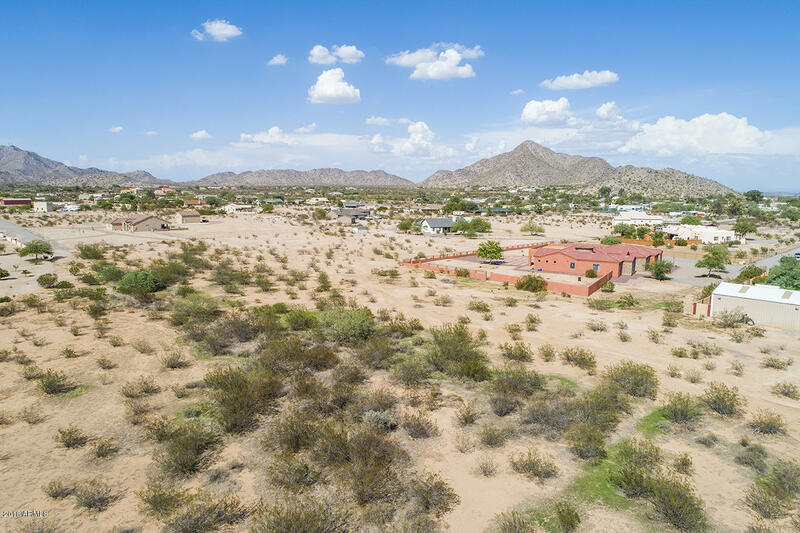 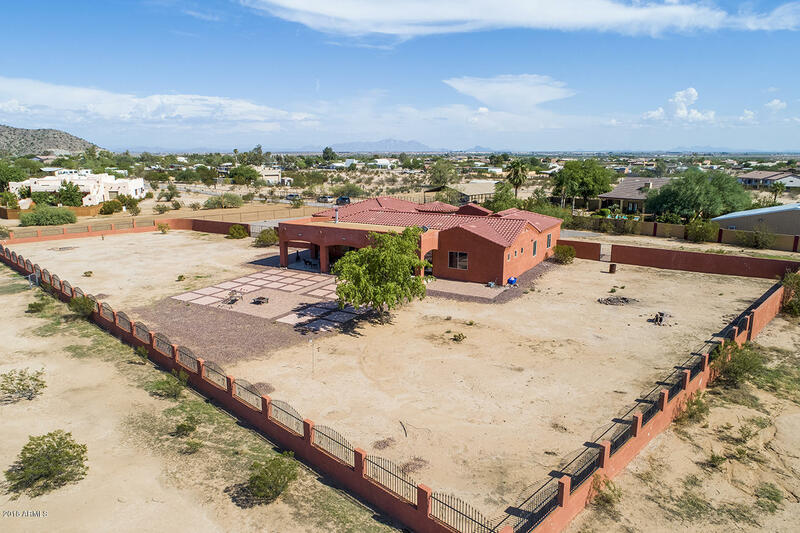 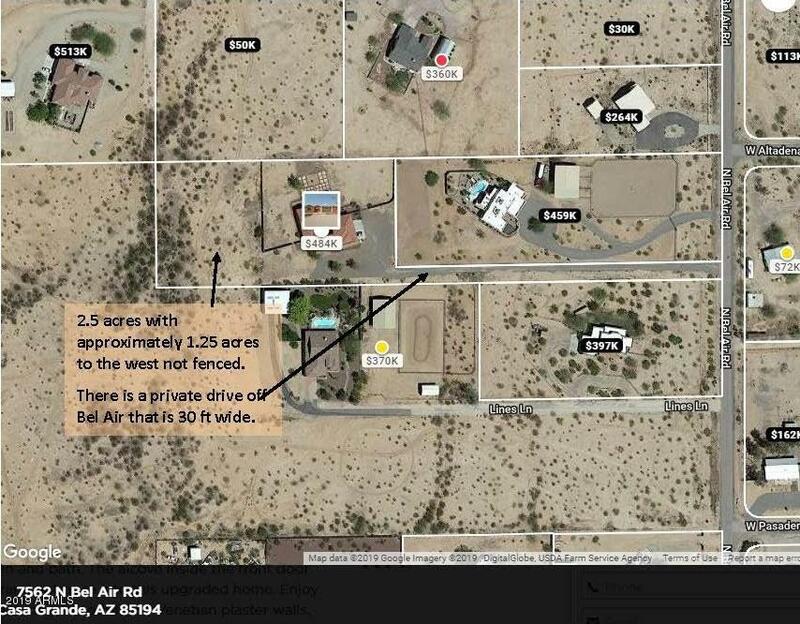 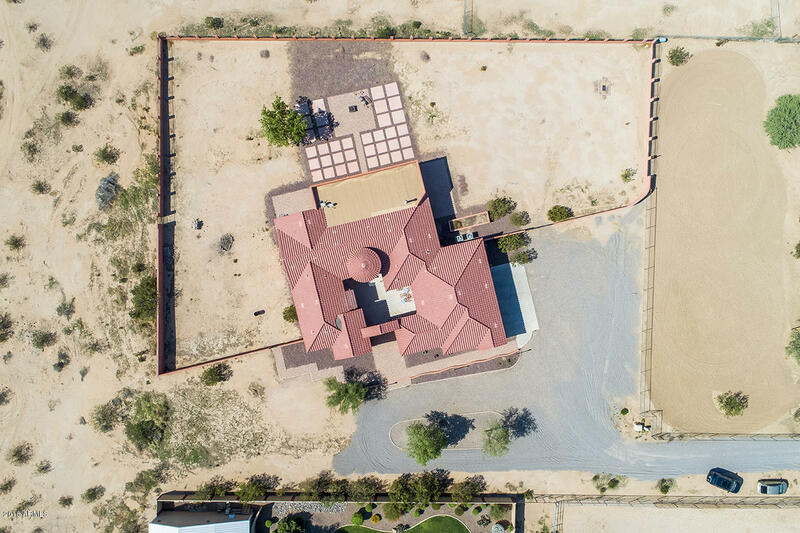 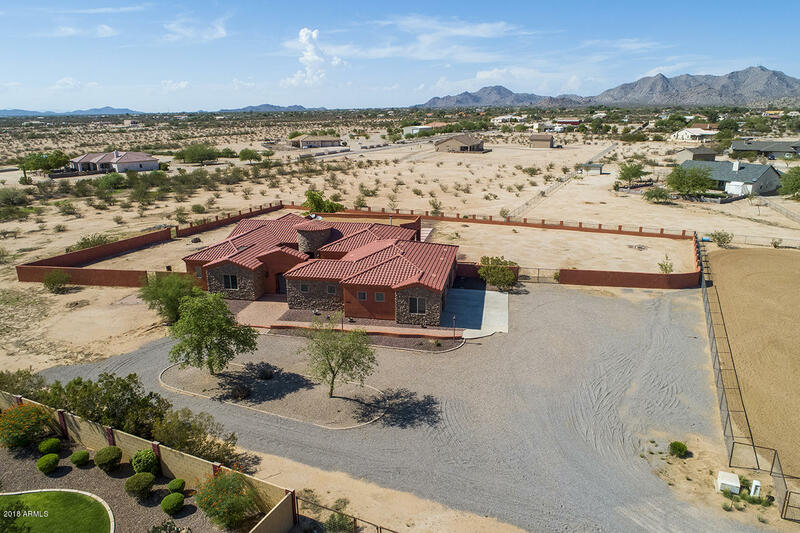 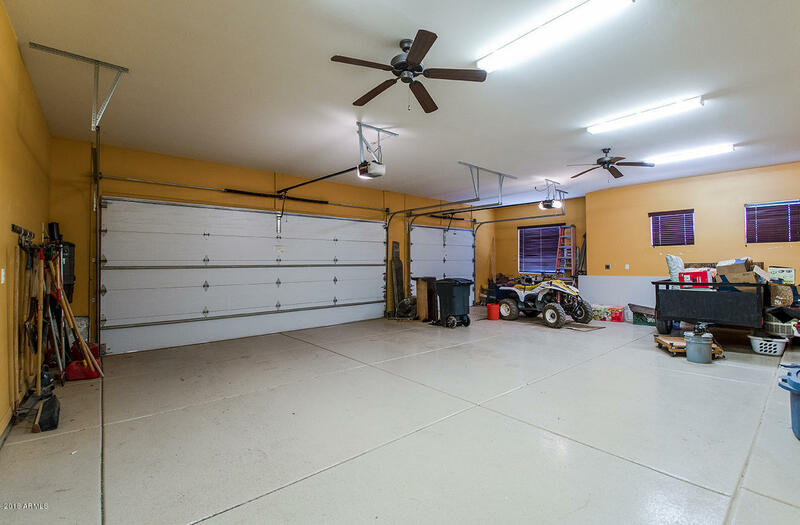 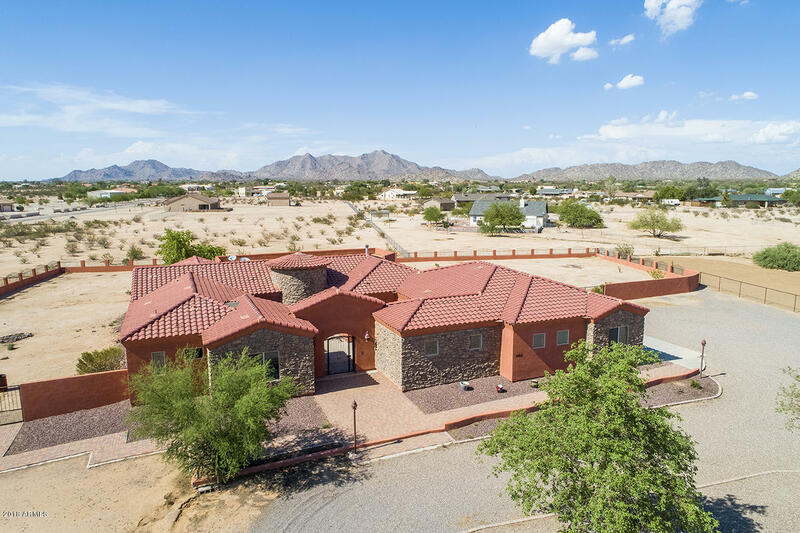 Stunning home on 2.51 acres! 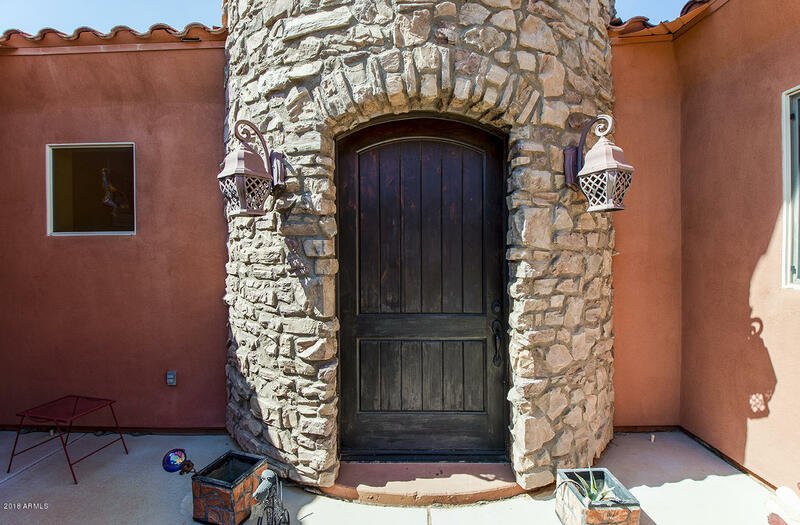 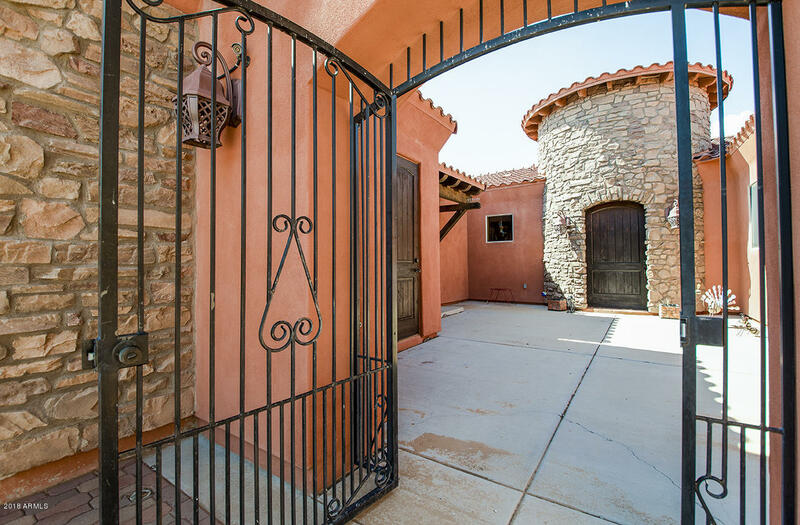 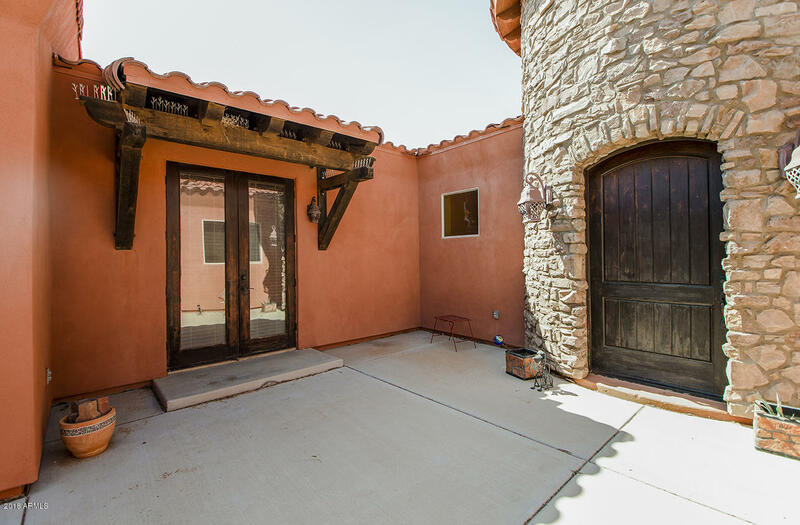 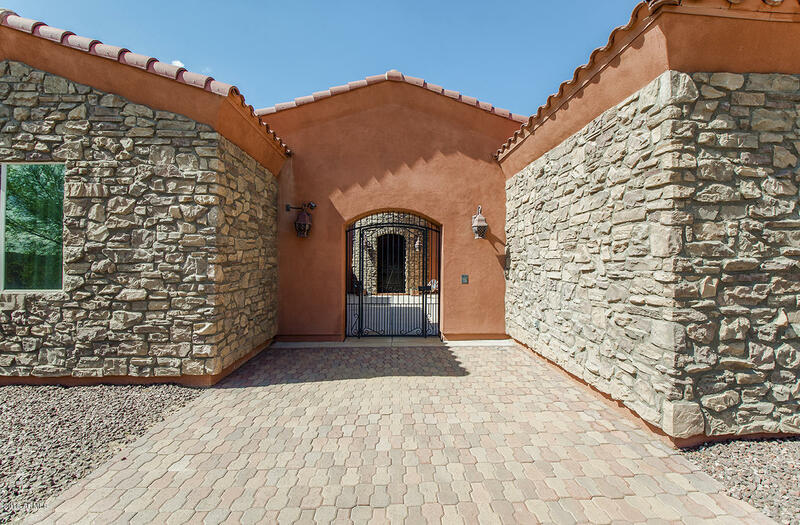 The gorgeous rock and stucco exterior has a gate leading thru to a private courtyard. 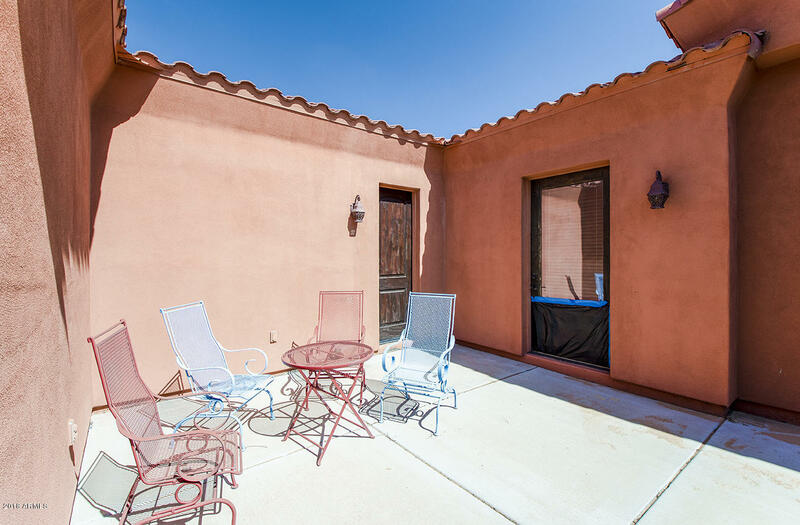 There are many ways to reach the courtyard from the house including one to the guest quarters with mini kitchen and bath. 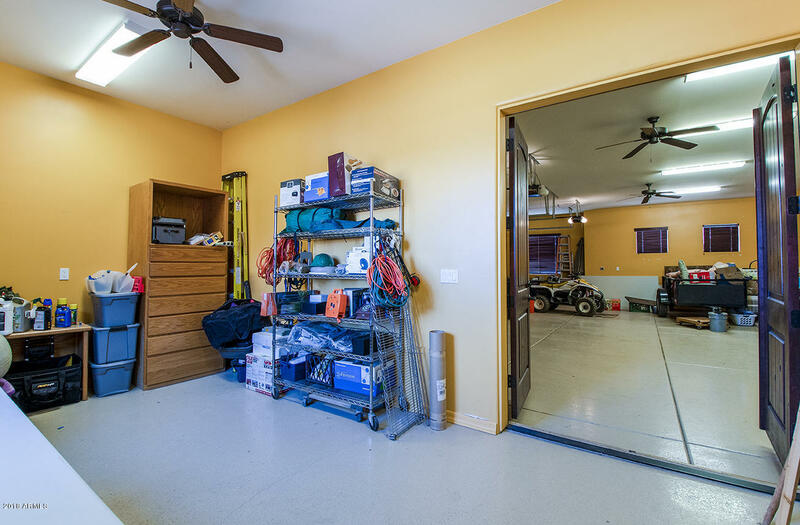 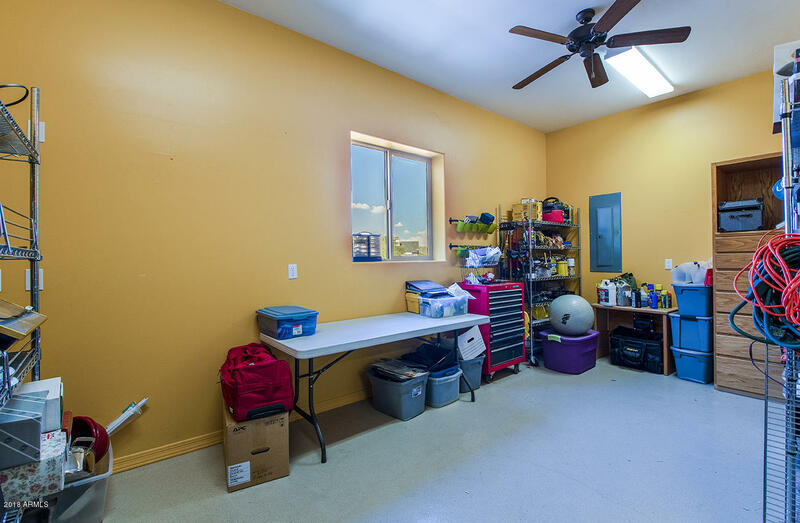 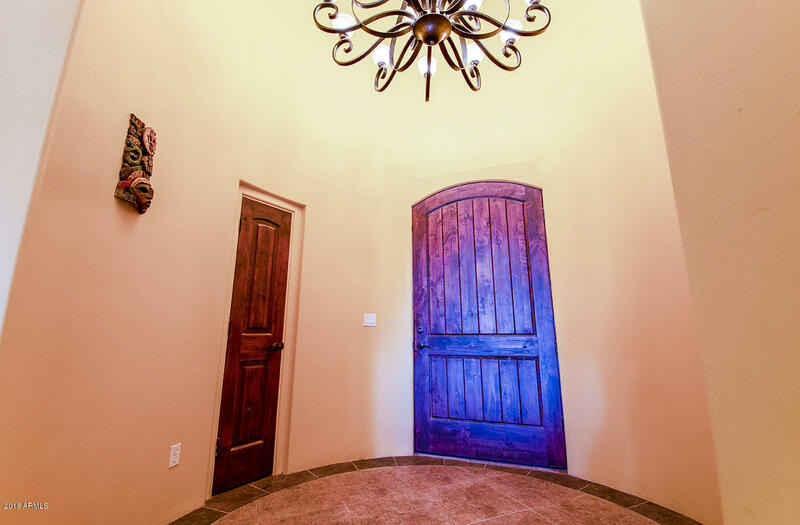 The alcove inside the front door makes a grand entrance into this upgraded home. 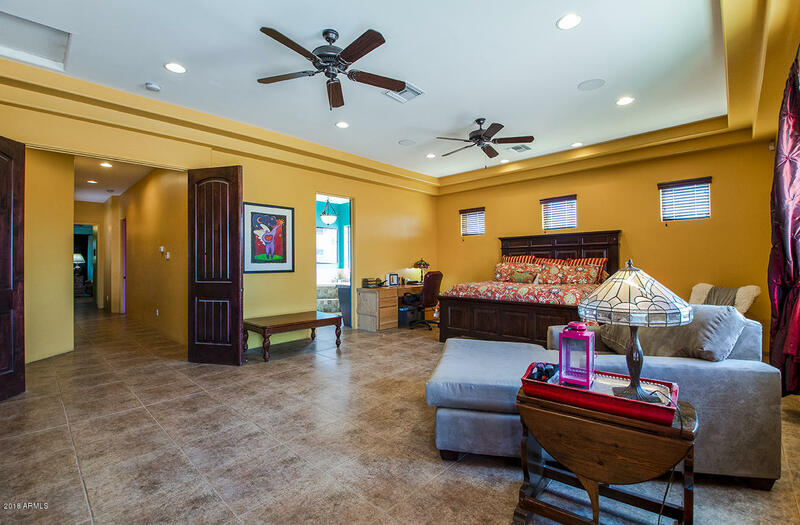 Solid steel frame constr, wood doors, smooth finish Venetian plaster walls, and tile flooring throughout. 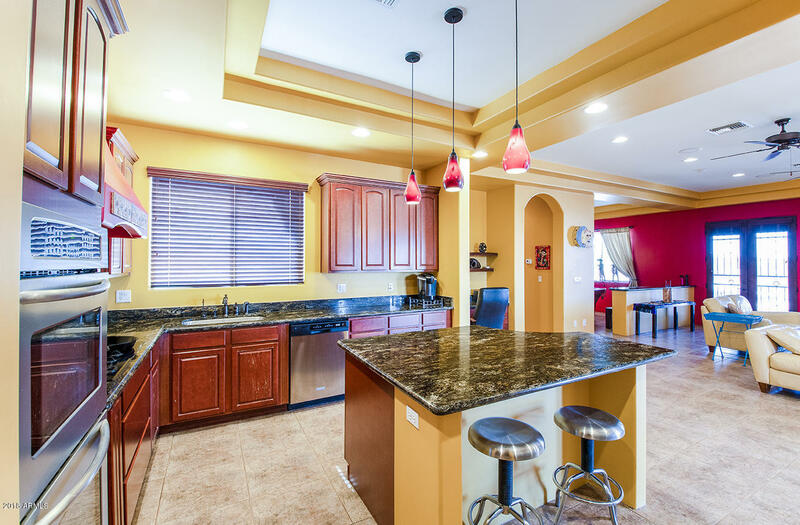 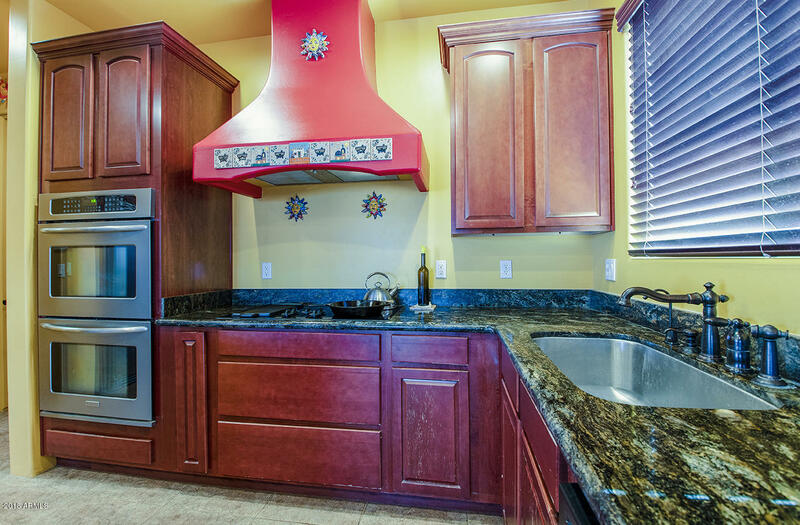 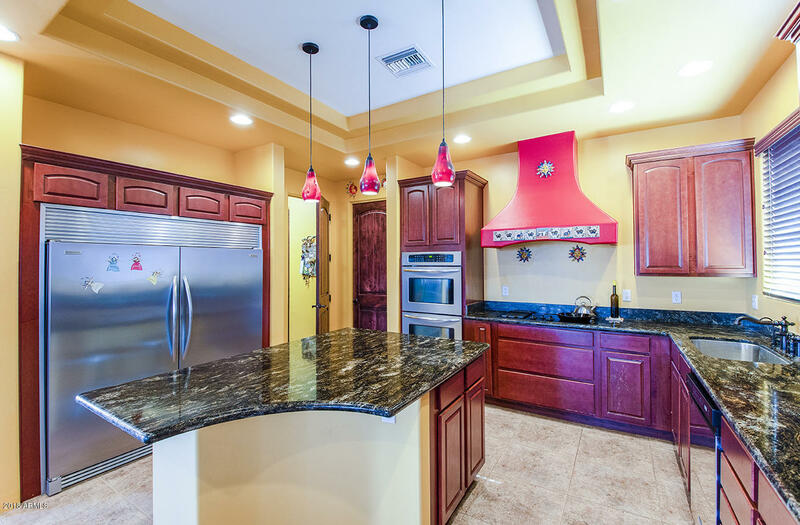 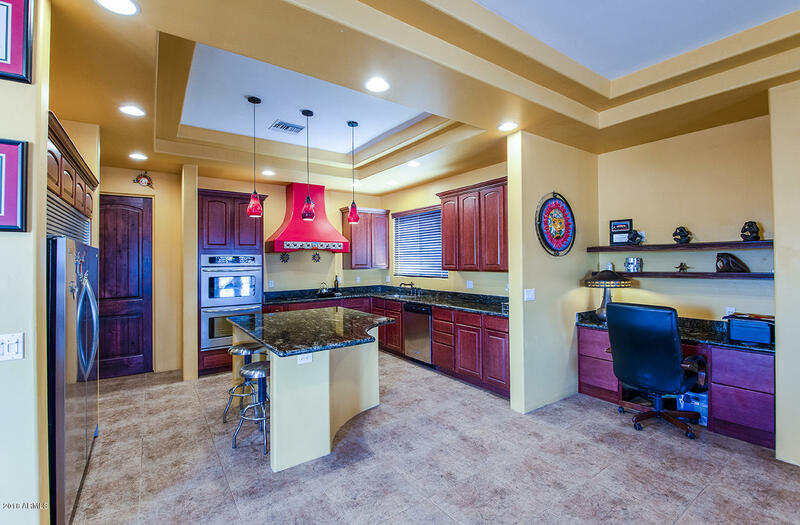 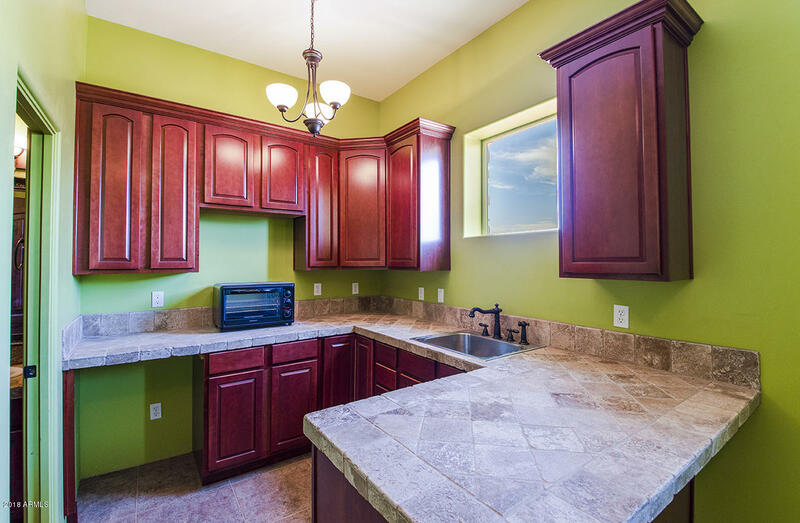 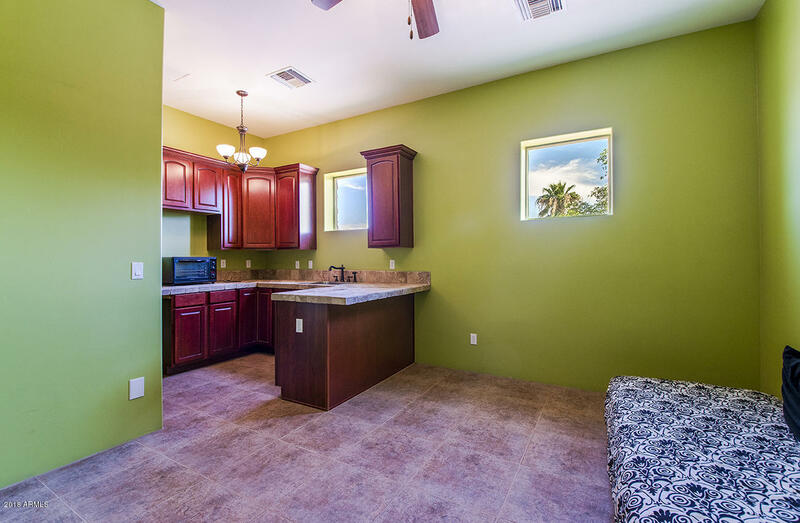 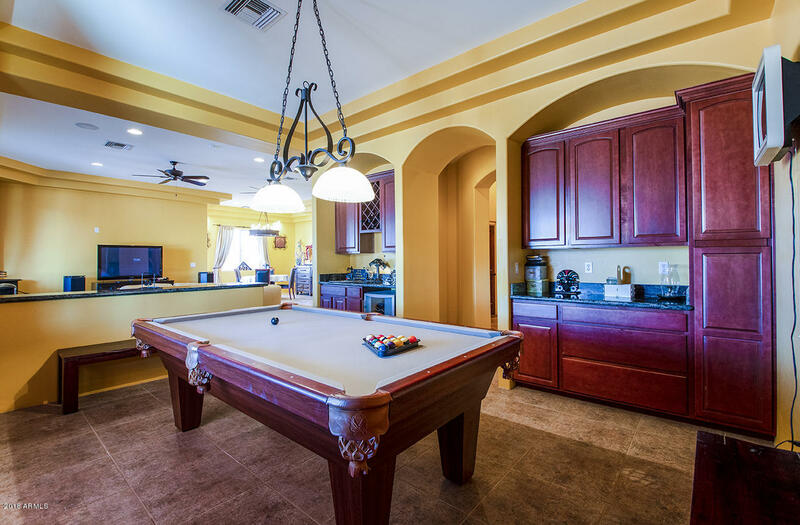 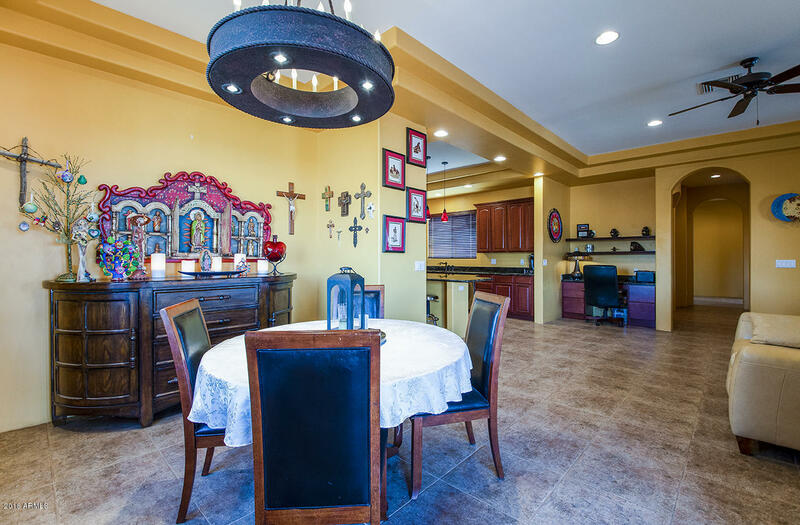 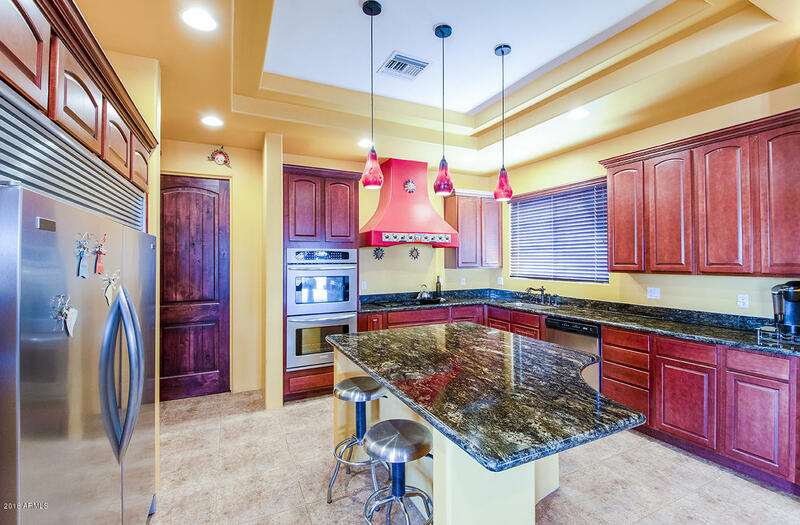 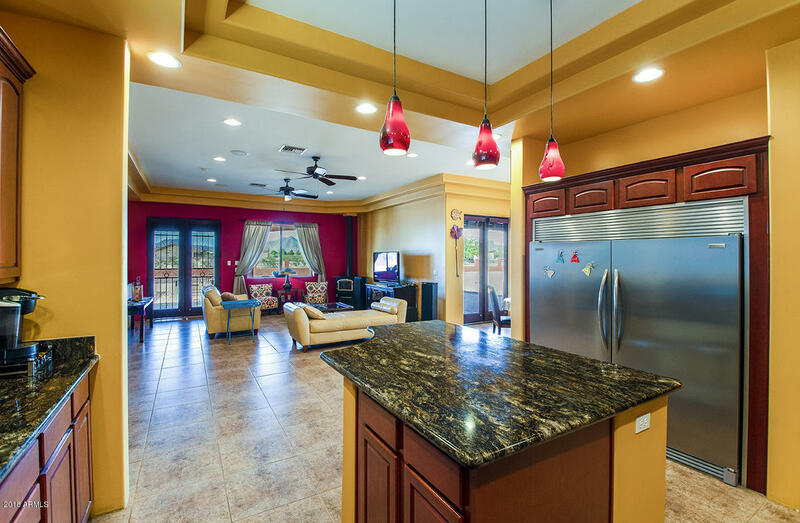 The kitchen has all the expected luxuries with granite, stainless steel, custom vented hood over cooktop, side by side refrigerator and large walk-in pantry. 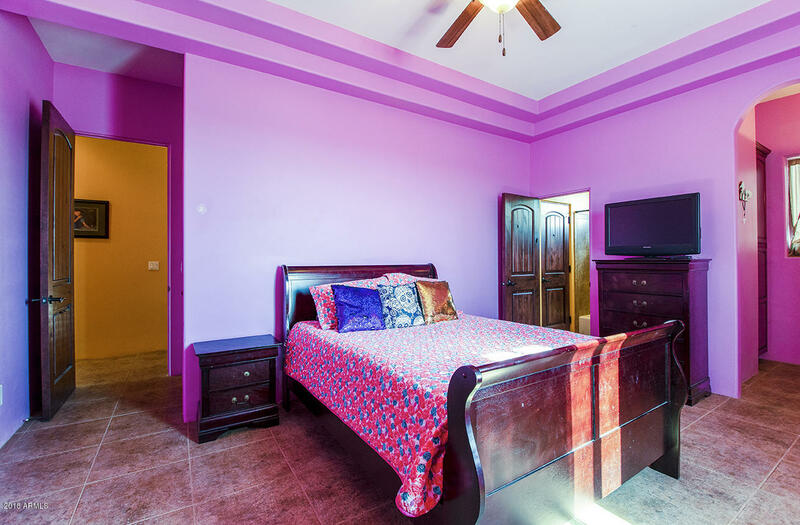 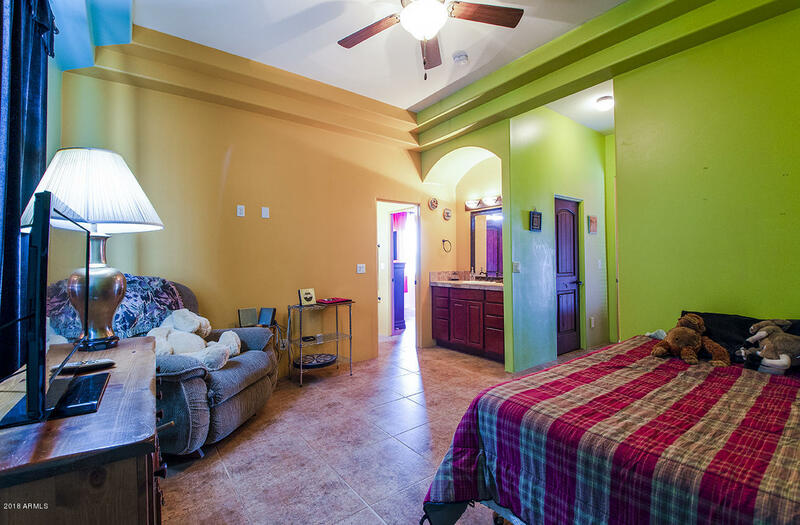 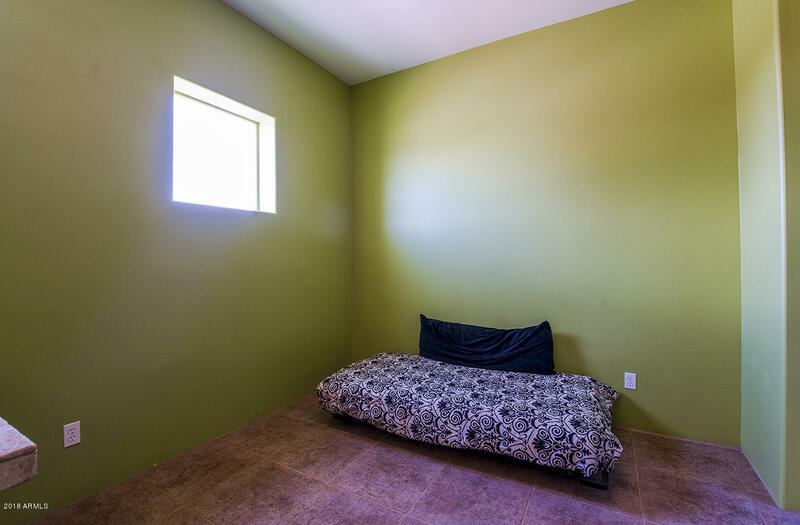 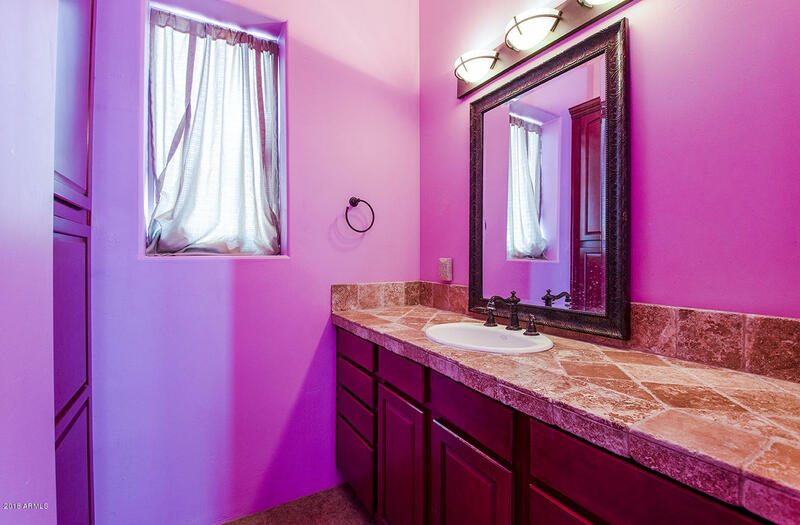 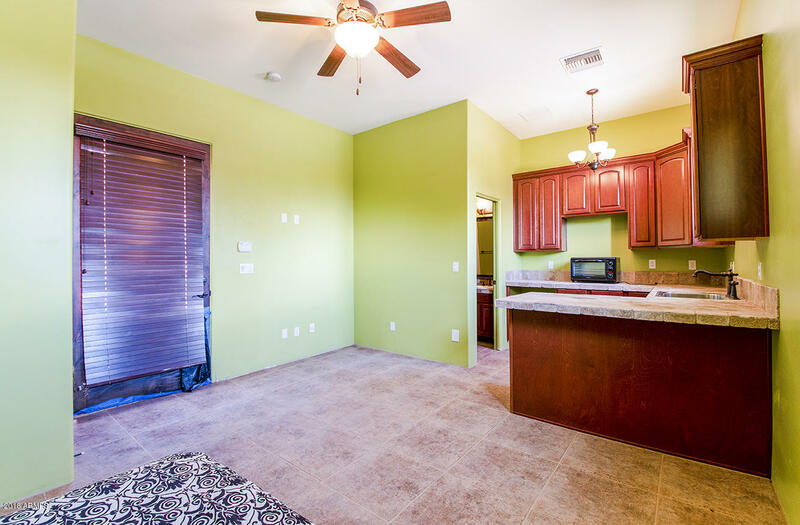 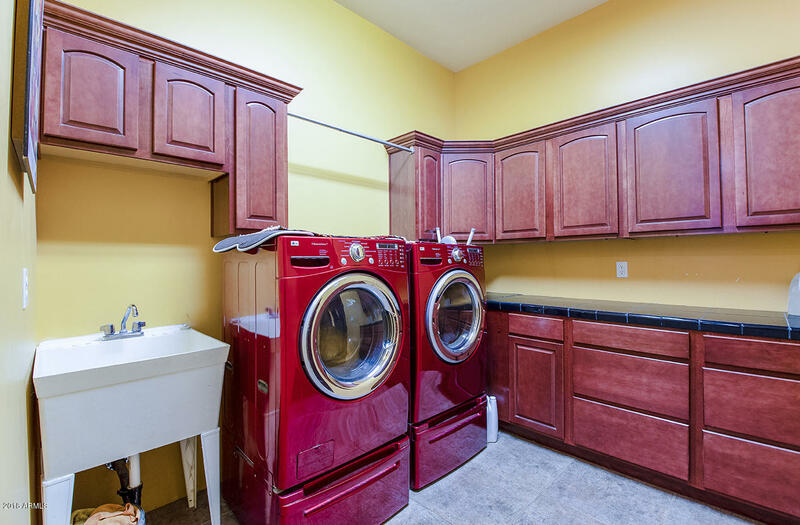 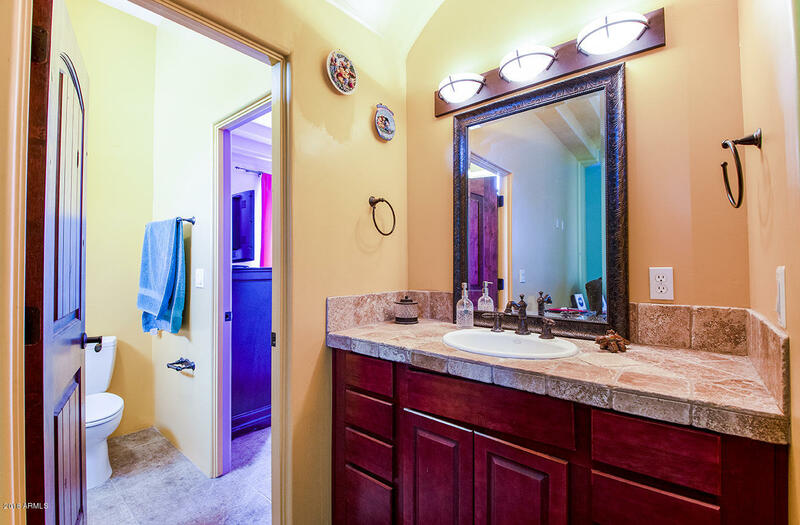 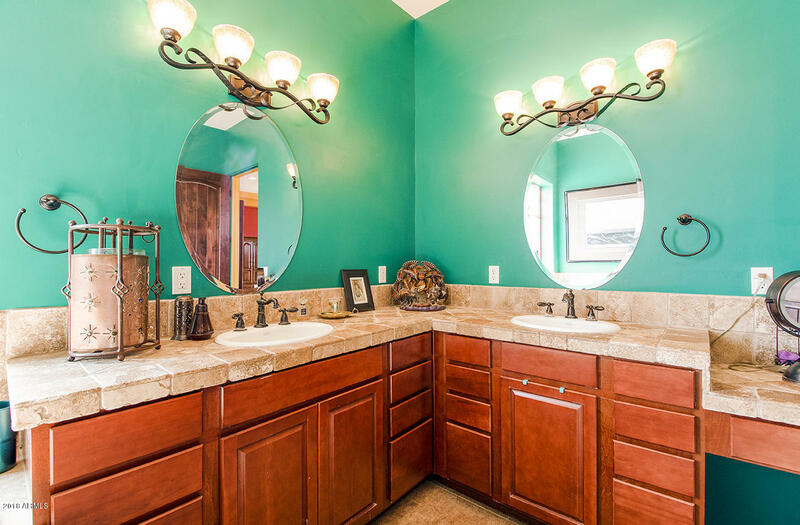 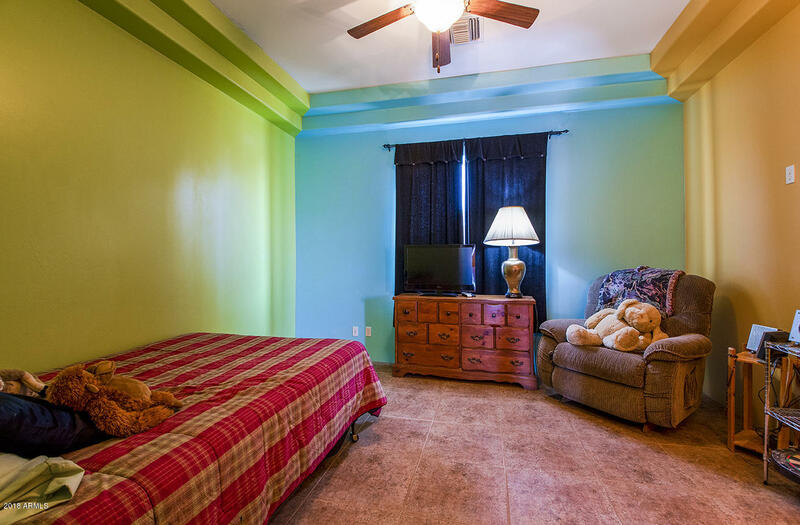 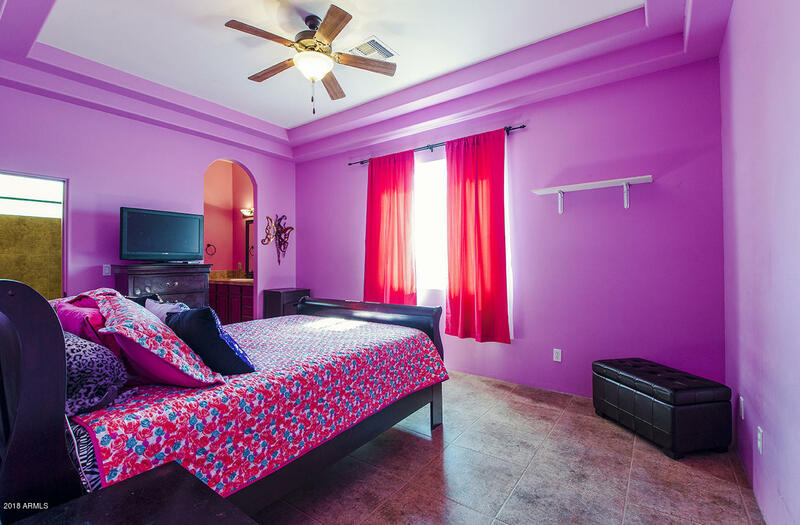 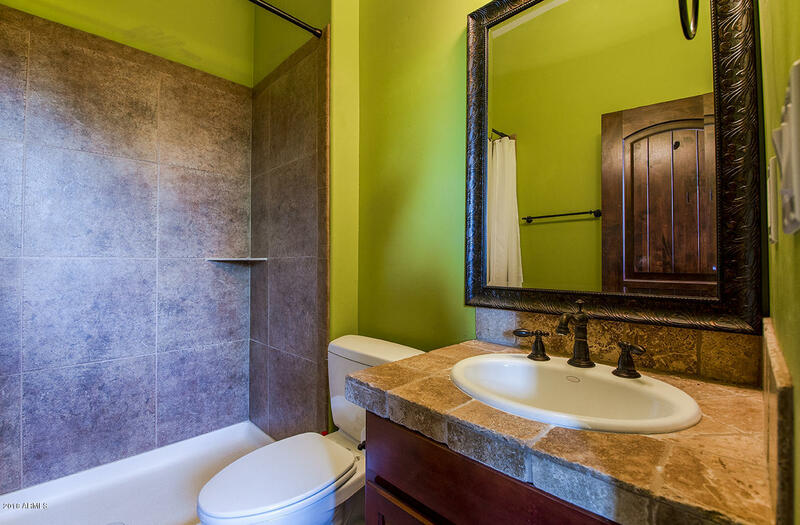 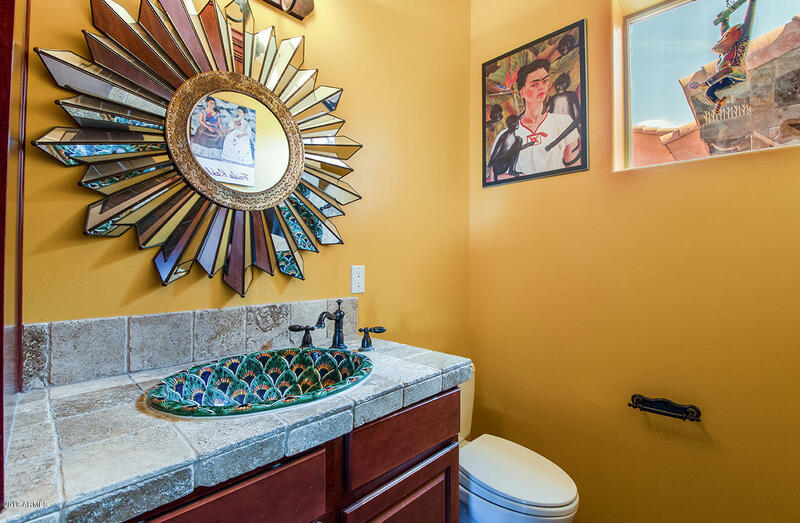 There are 2 bedrooms with private sink & vanity and adjoining bathroom. 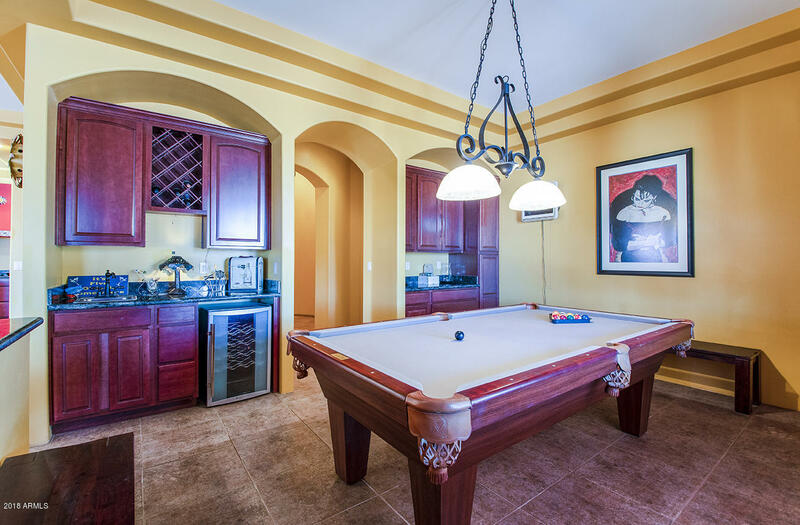 Check out the oversized master! 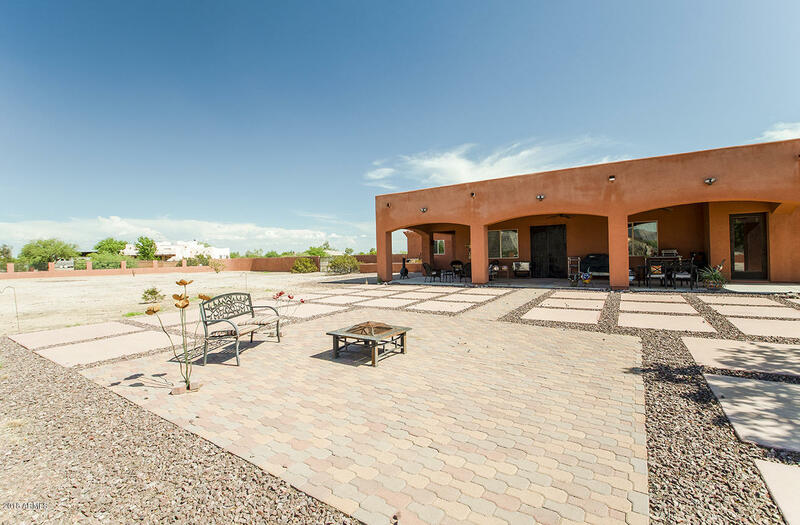 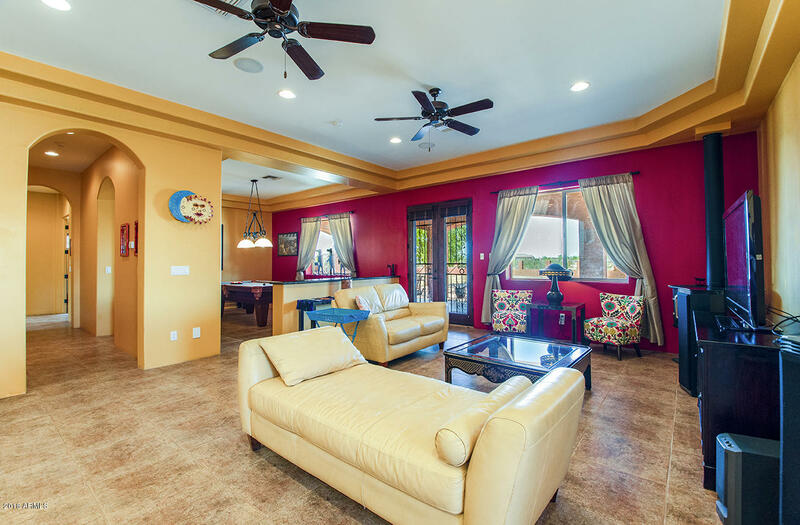 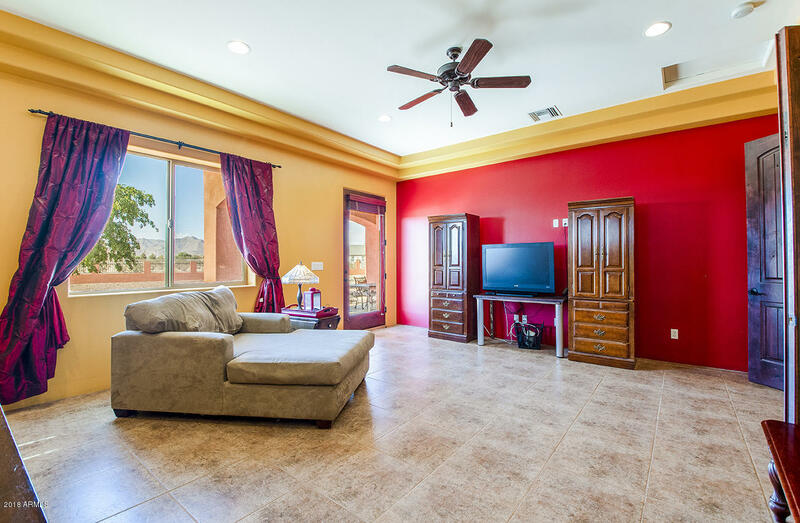 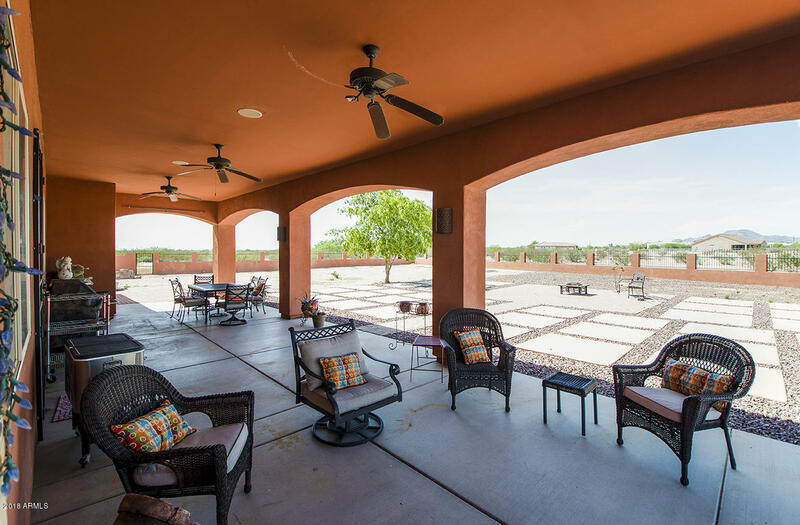 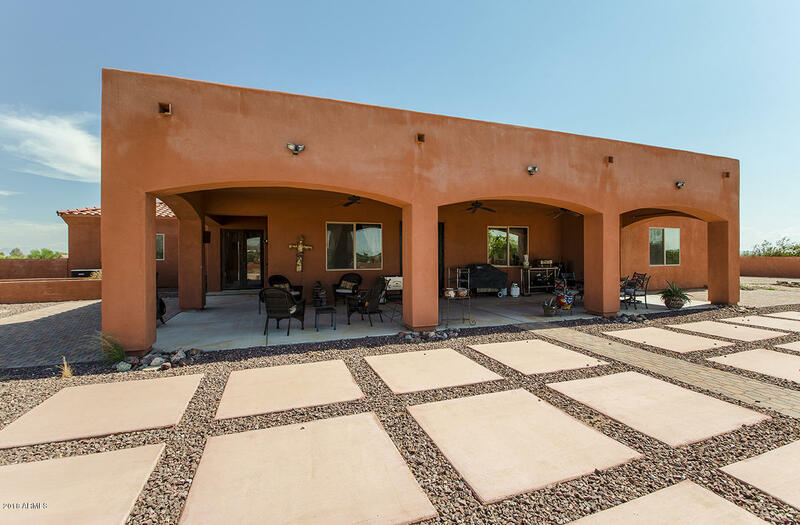 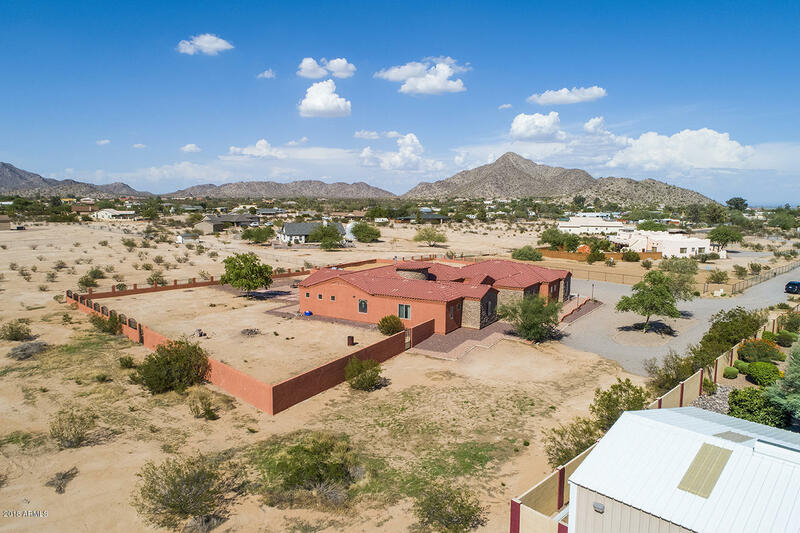 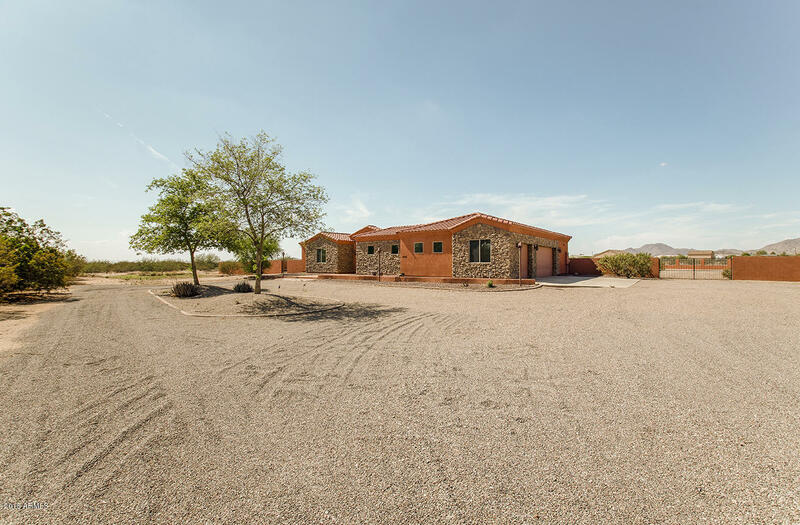 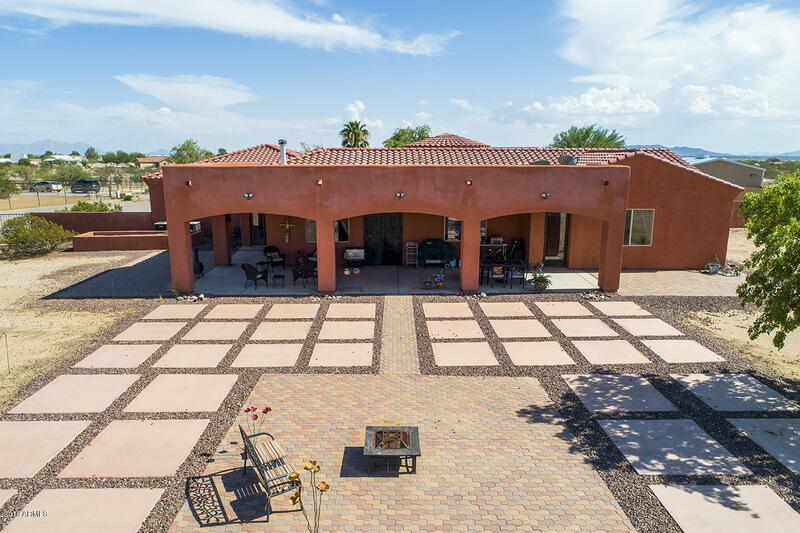 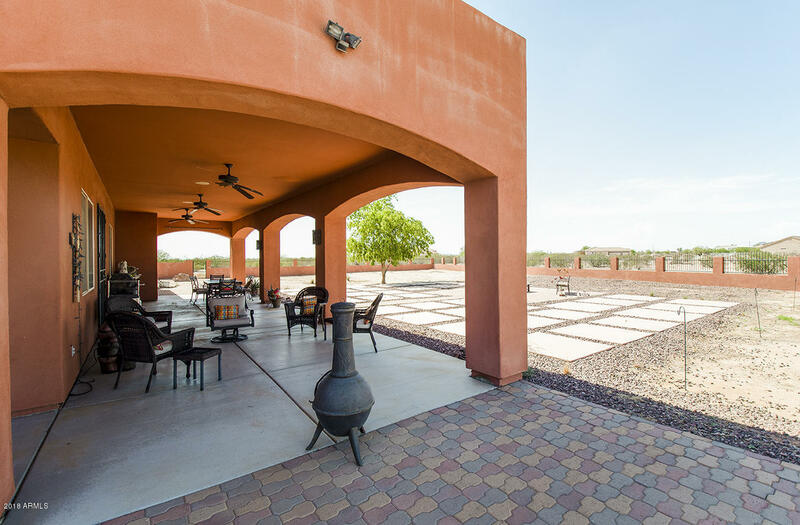 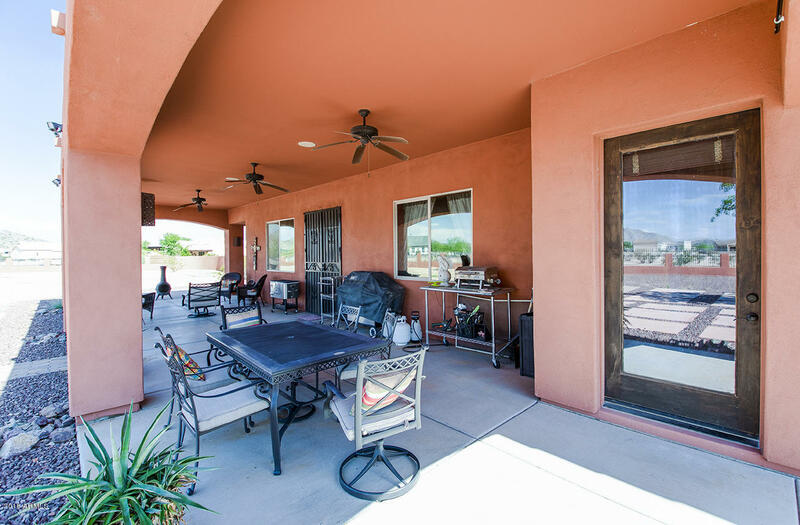 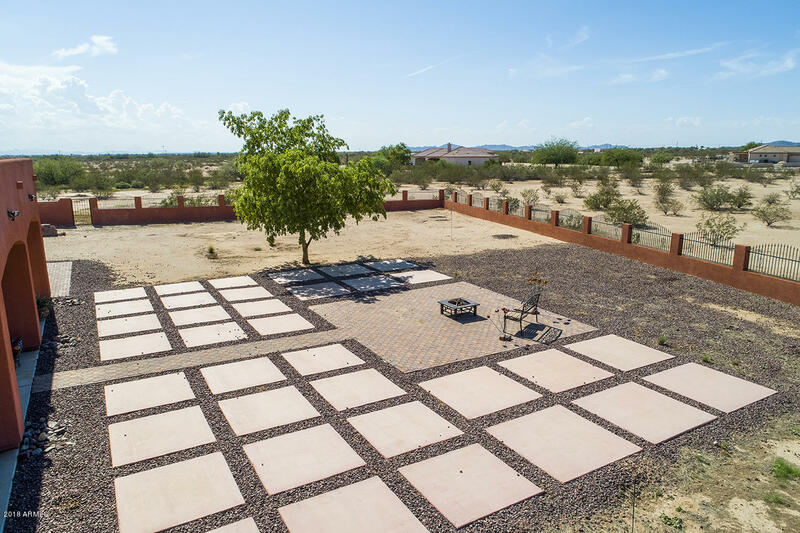 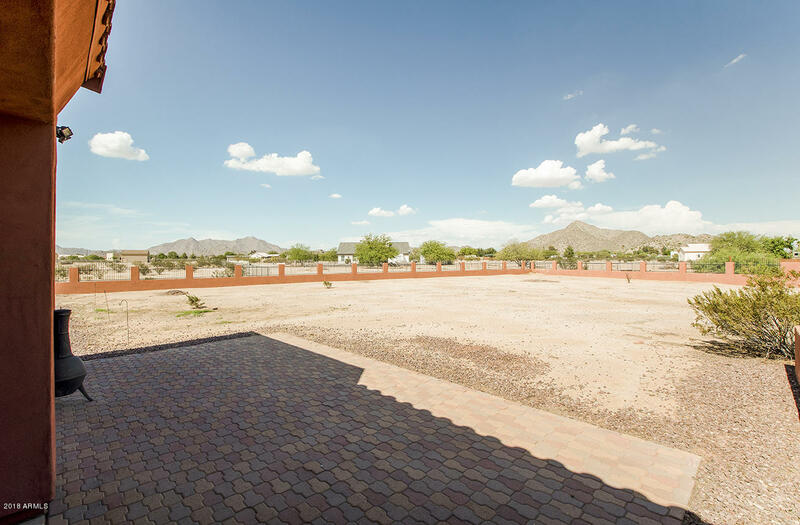 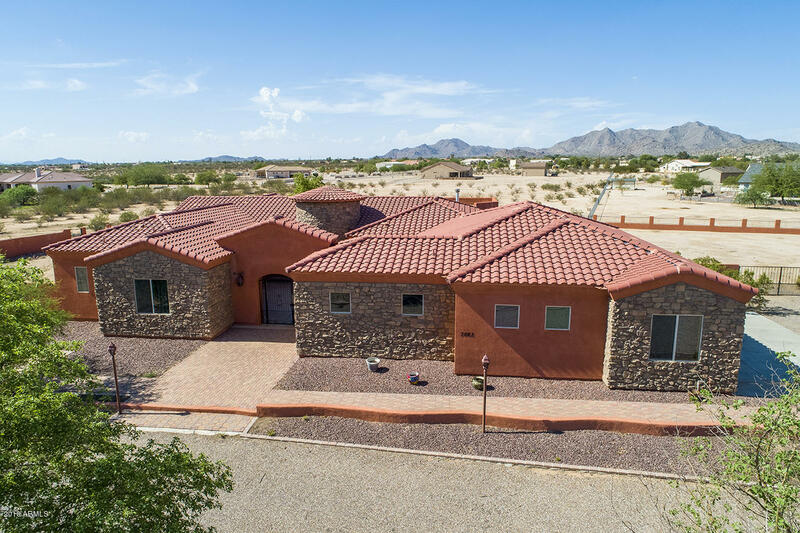 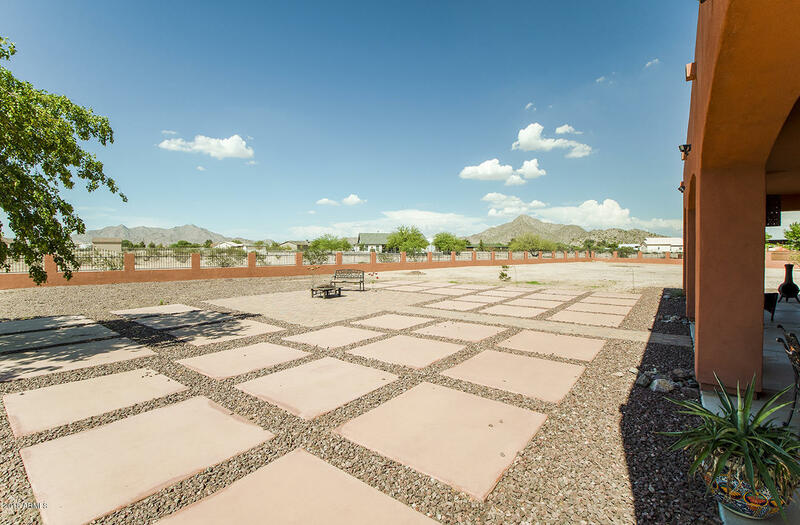 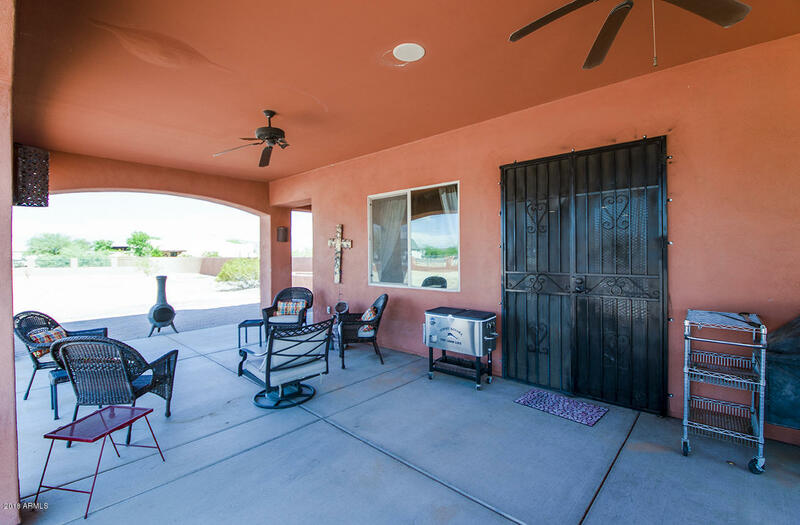 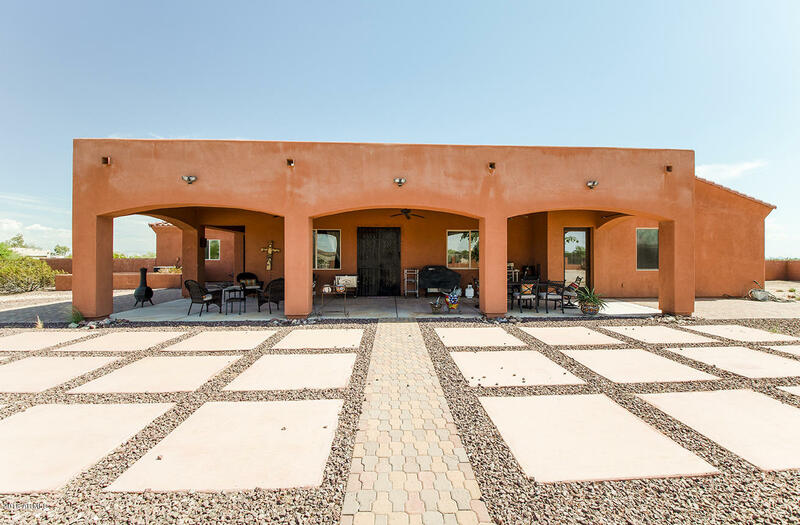 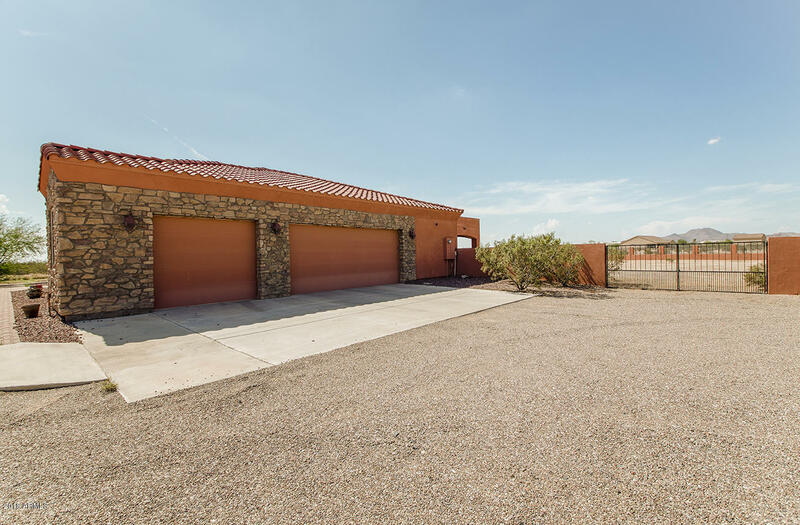 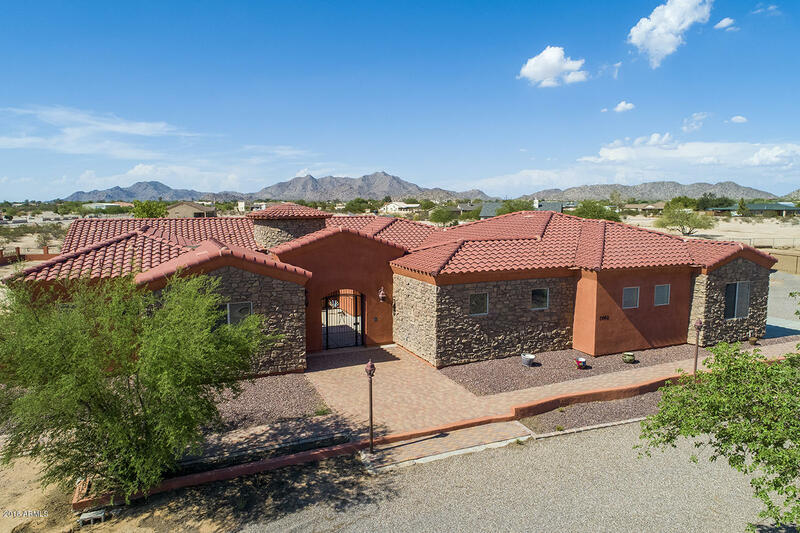 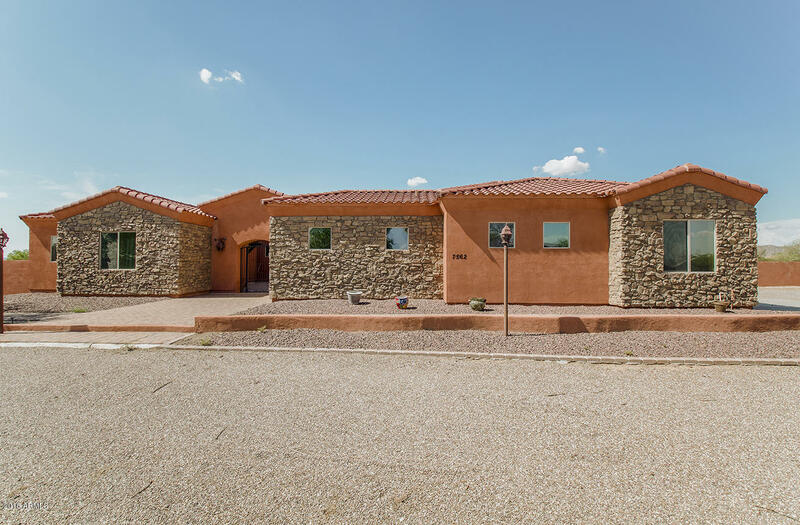 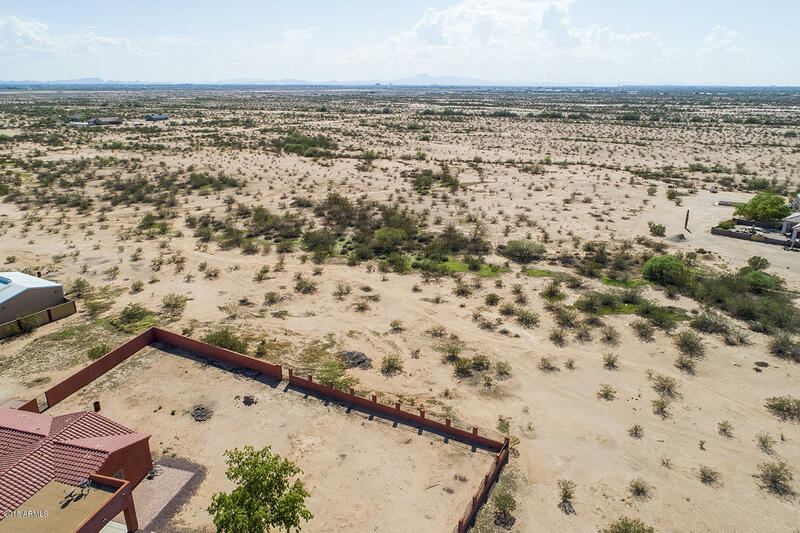 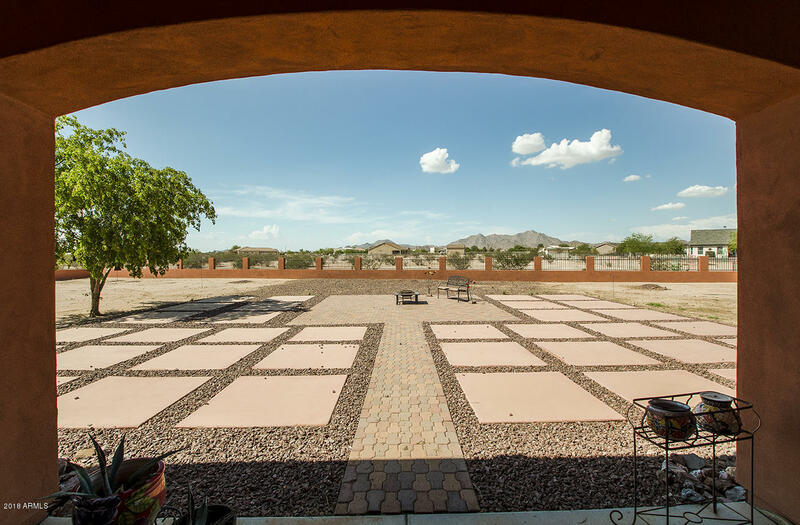 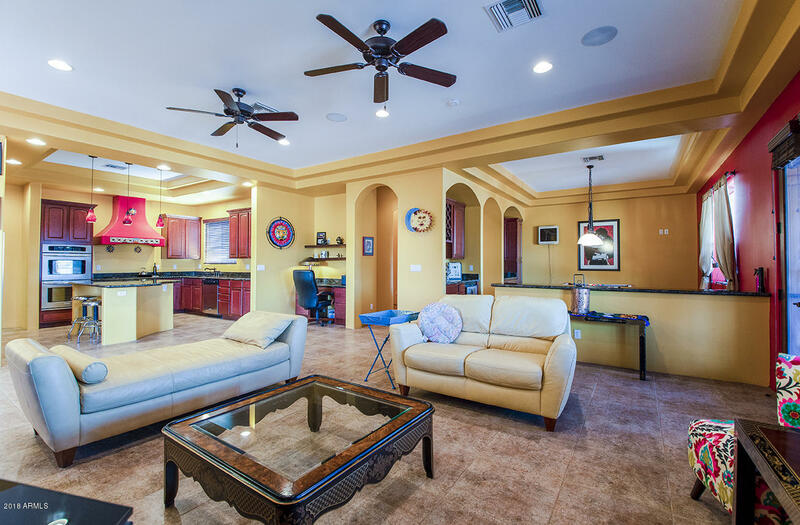 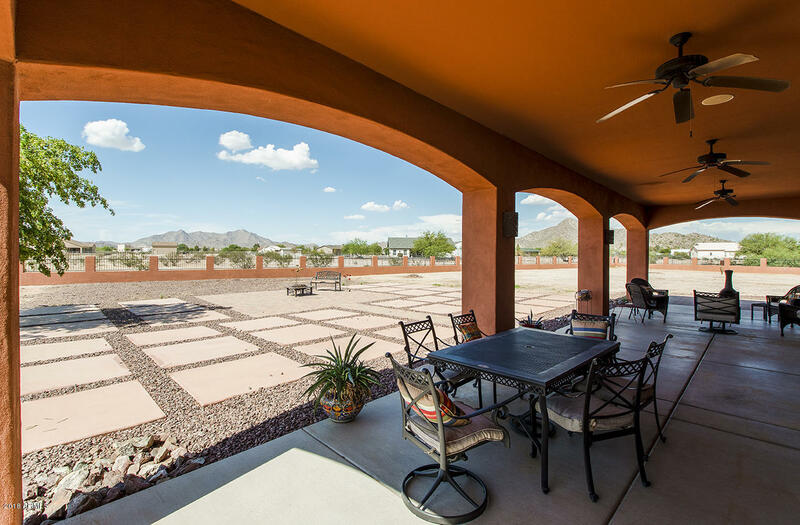 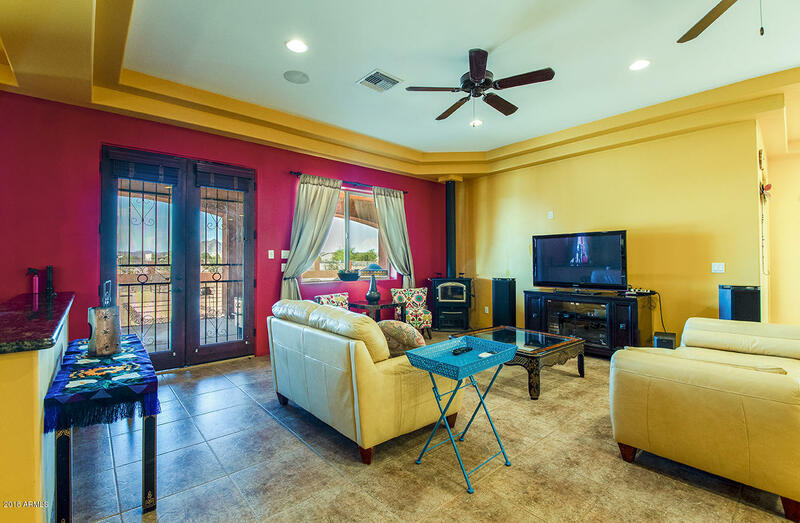 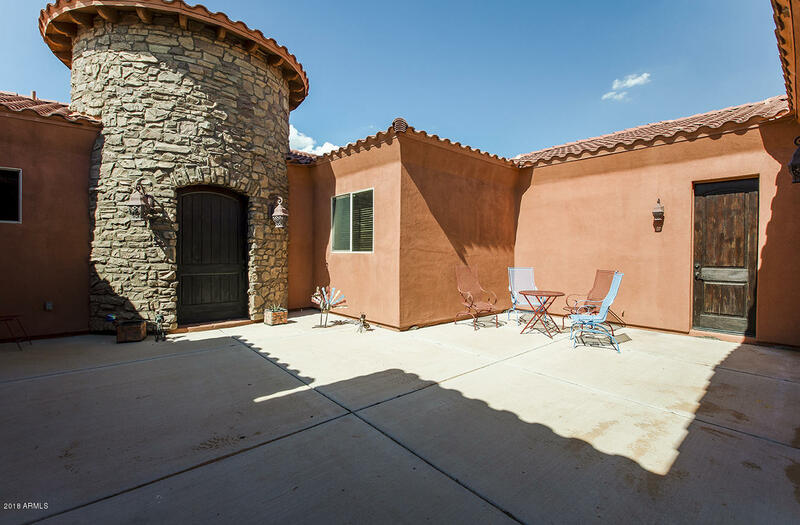 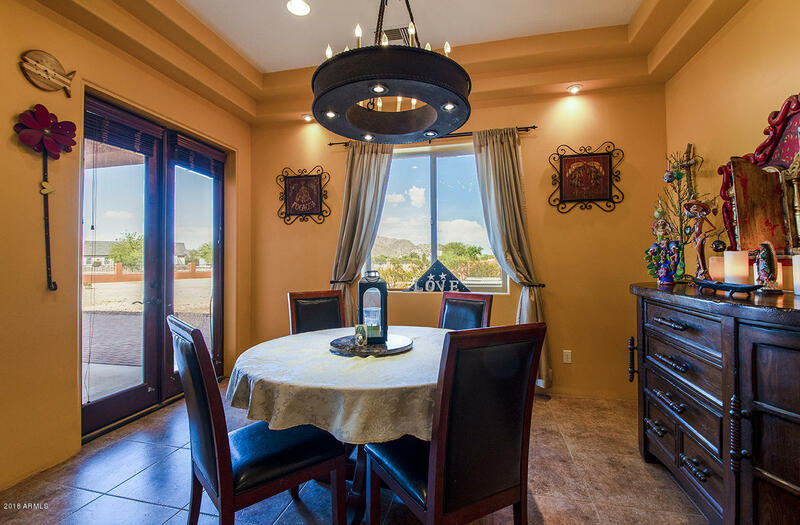 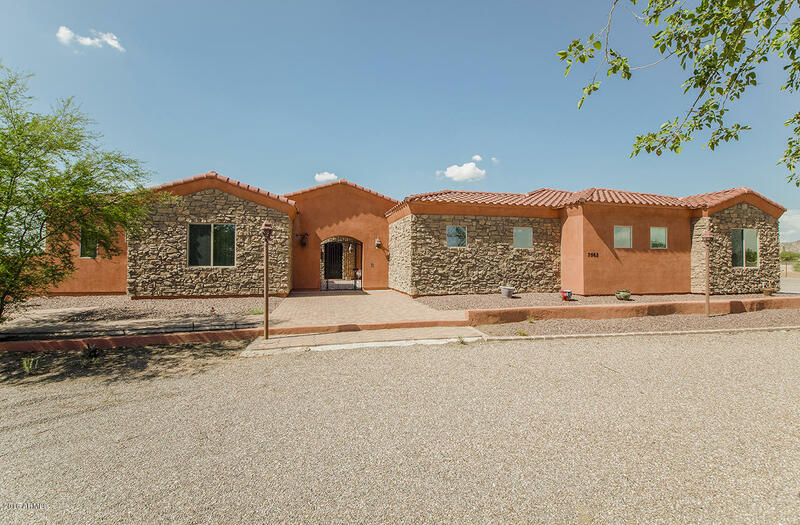 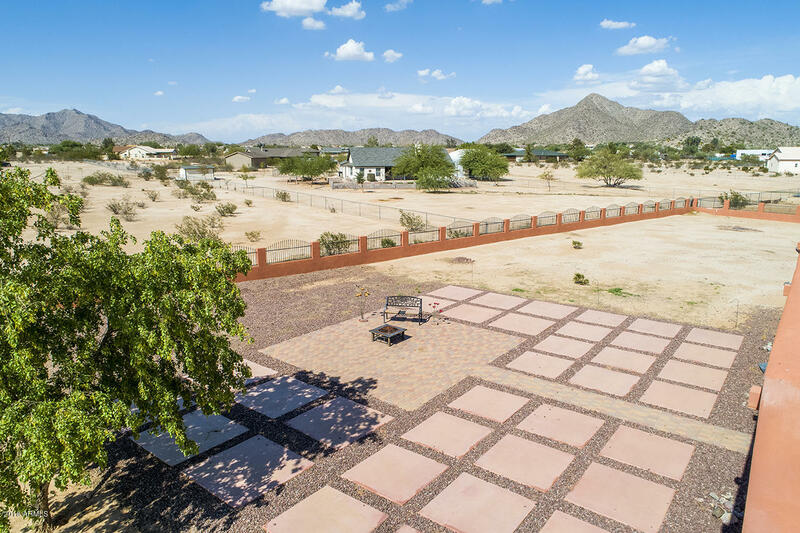 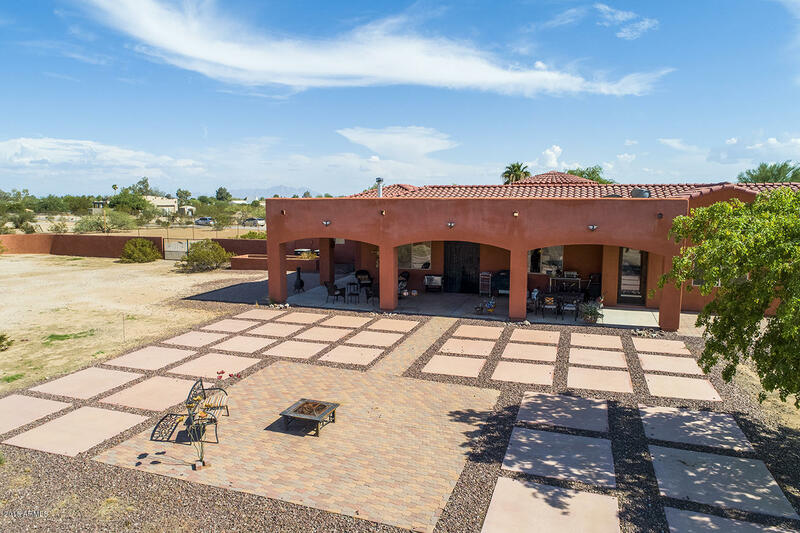 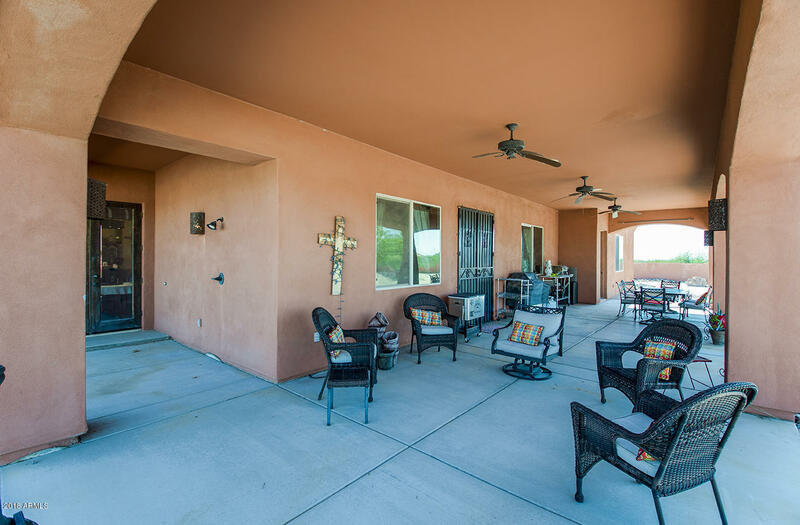 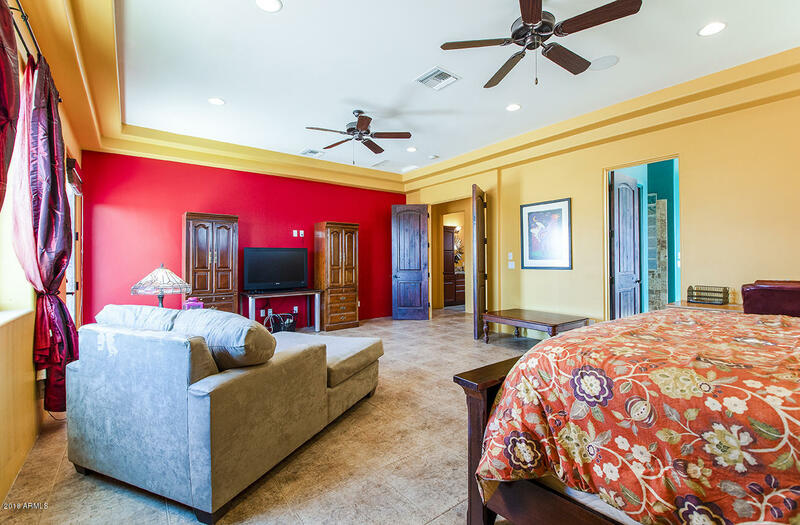 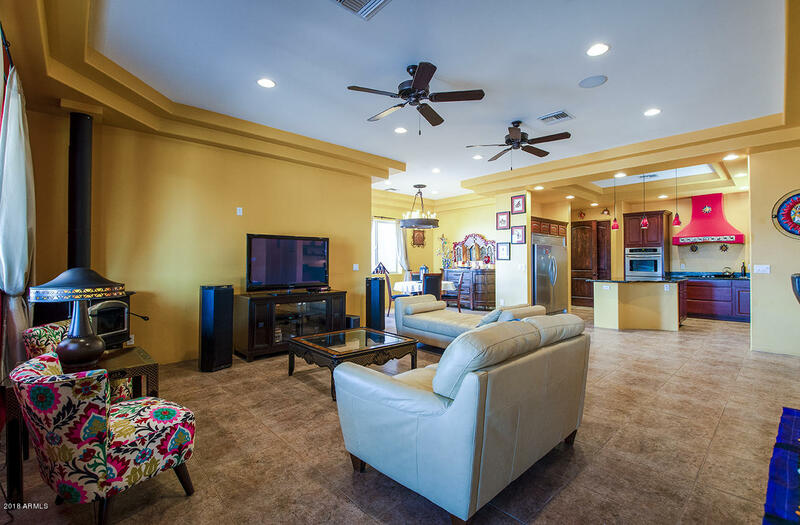 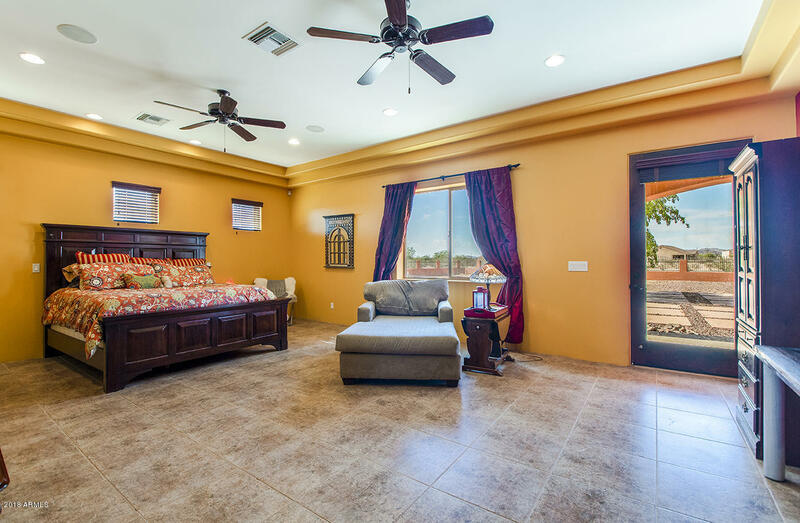 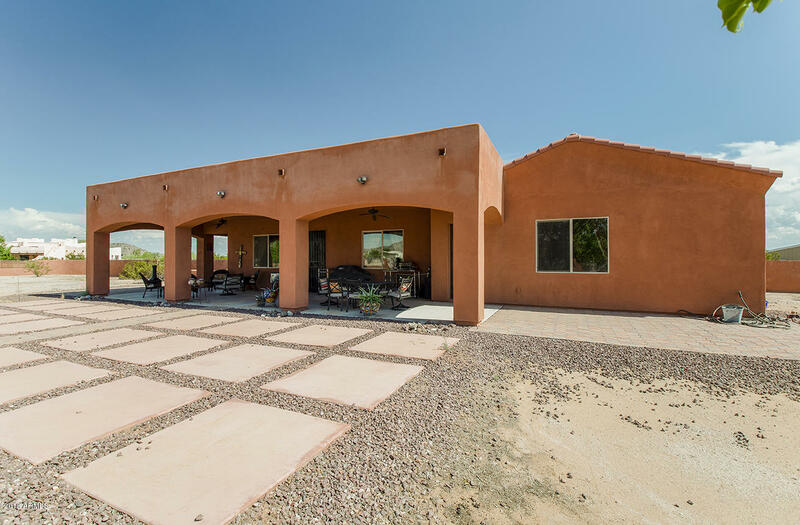 Enjoy mountain views & sunsets on the expansive covered patio. 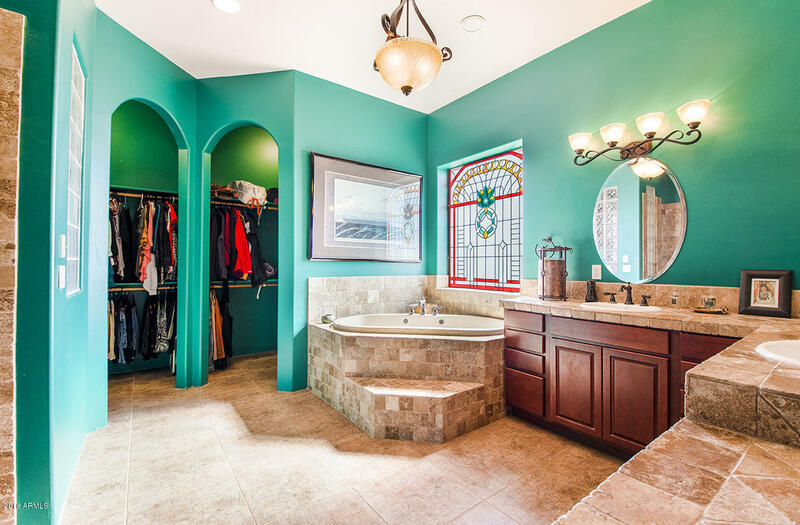 Room for a pool & outdoor shower is already there!